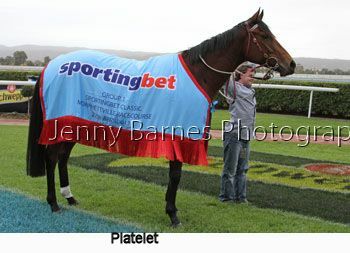 Today was the first of the two big Group 1 racedays for the year and it was 12 months ago that over 30,000 people packed into Morphettville to see the recently retired Black Caviar. 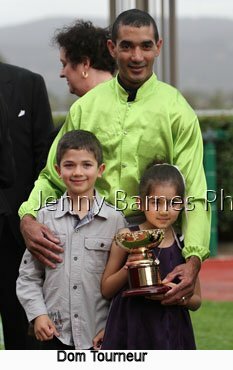 A smaller crowd this year but plenty of good stories emerged throughout the day. 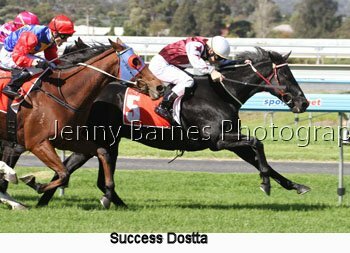 In race one Success Dostta started the day well for the Darren Weir stable in returning to the winning lists to defeat Miss Aberdeen with Willego third. 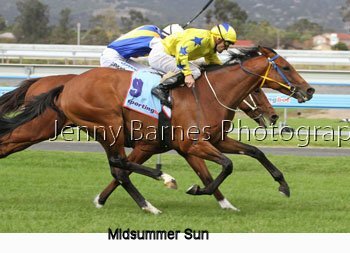 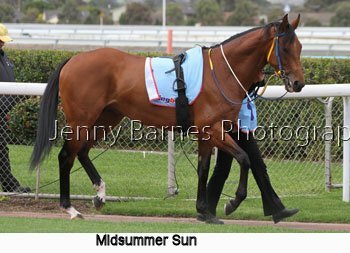 In the second race it was the local racing debut of Midsummer Sun imported to the Sam Kavanagh stable from the UK. 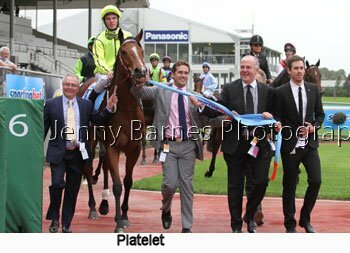 He didn't let supporters down storming home in the final stages to win from Vima with Mr Lowndes third. 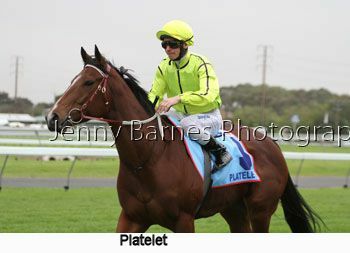 The first of the stakes races was the Dequetteville Stakes for the 2yo fillies. 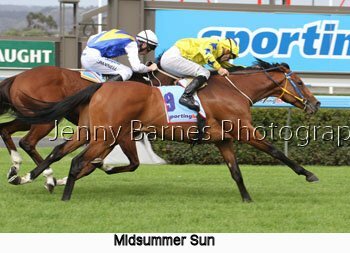 Zellindi led into the straight and kicked clear still going strongly in the final stages as Calcatta started to make late ground. 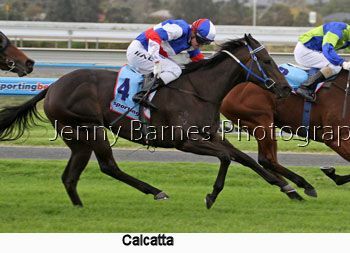 Zellindi just started to tire in the last two bounds and as Calcatta lunged the fillies passed the post locked together with only the smallest of margins giving the race to Calcatta with Bring A Ring making late ground third. 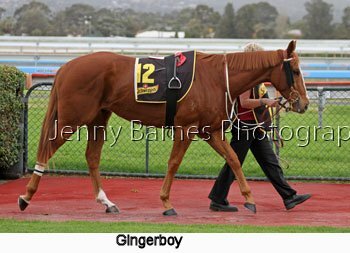 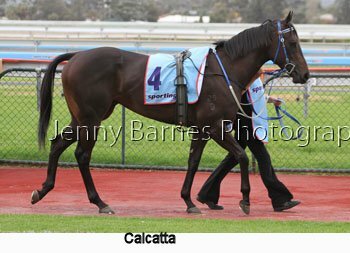 Calcatta is by Tale of the Cat from Calchris and has now won 2 races from 6 starts and is trained by R Smerdon in Victoria. 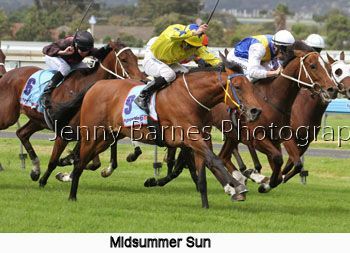 It was a local victory in the Chairman's Stakes with Hioctdane proving too good in the lead up to the SA Derby with Pharomac second and Pins of Pele third. 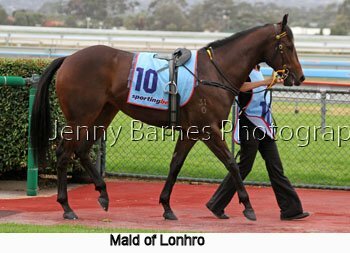 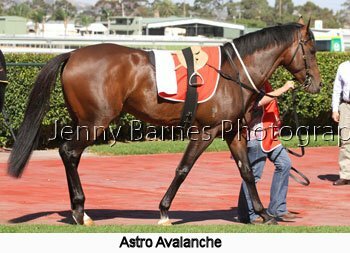 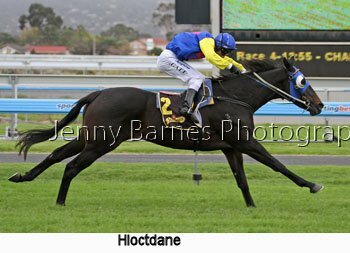 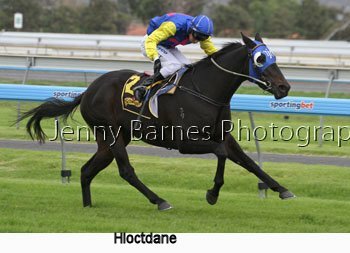 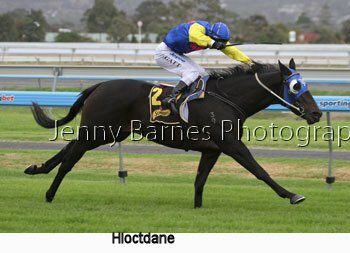 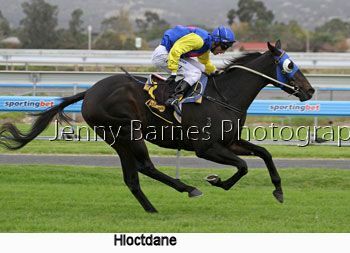 Trained by Richard Jolly Hioctdane is by Strada from Autobahn (by Octagonal) and has now raced 8 times for 3 wins and two placings. 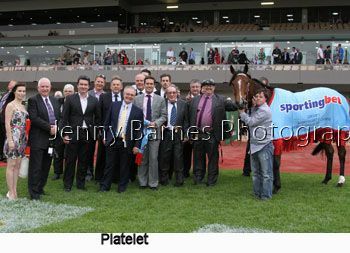 The Group 1 Sangster Stakes was next where the short priced favourite Snitzerland jumped straight to the led and looked to be travelling well around the turn however its very hard to lead throughout over 1200m at Morphettville in particular at Group 1 level and in the straight it was Platelet who stormed to the front and unlike last start she was not going to be run down powering to the line to win for her large group of overjoyed connections with Angelic Light making up ground to take second for her nearly as excited owners while Yosei ran on for third and Kulgrinda was fourth. 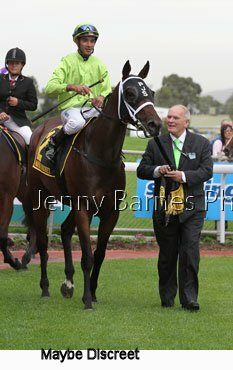 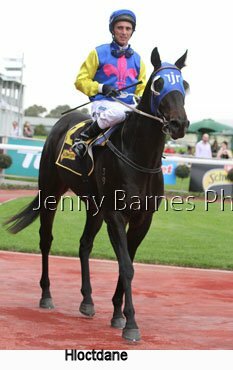 It was the second Group 1 victory for Victorian trainer Darren Weir who took out the now downgraded SA Oaks around 10 years ago with She's Archie. 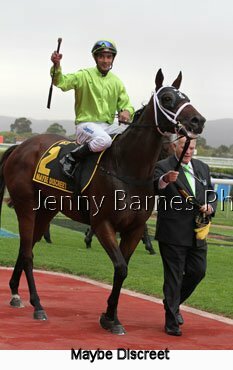 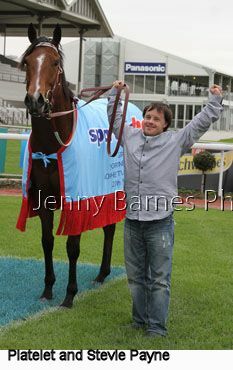 And it was the first Group 1 winner for Stevie Payne who was the mare's strapper. 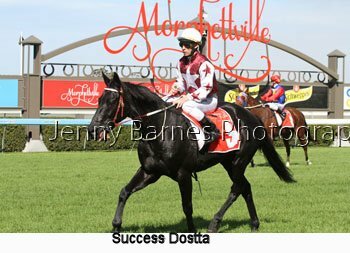 Stevie's brothers and sisters are well known jockeys and trainers including Michelle and Patrick Payne and despite challenges all his life has also forged a career in the racing industry. 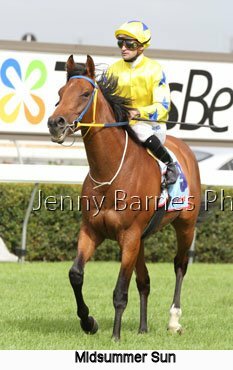 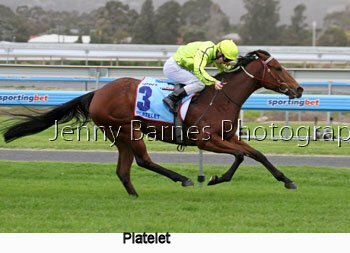 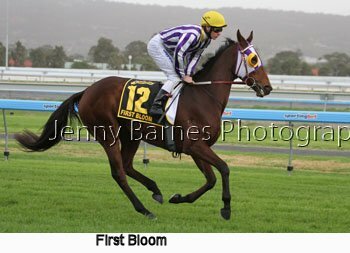 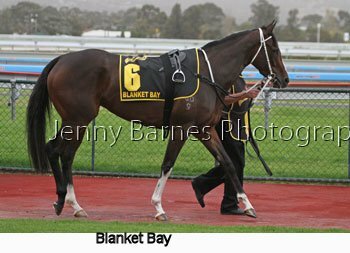 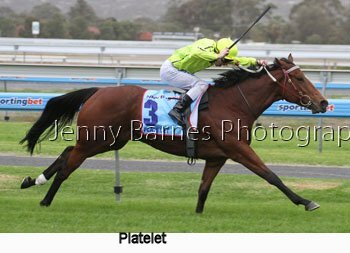 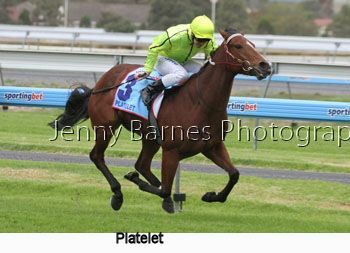 Platelet took her record to 18 starts for 6 wins and 10 placings and previously had form around Bel Sprinter and Buffering prior to being nosed out on the line last start. 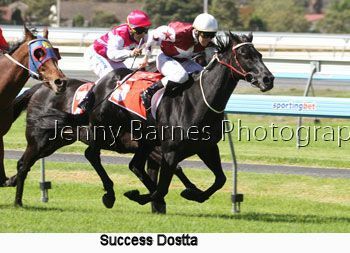 The Group 1 Australasian Oaks was next and this was was a home town victory for South Australian's with Maybe Discreet overcoming doubts of breeder and part owner David Peacock in storming away from the field to win with ease over the 2000m from Grand Daughter with La Zuma third leaving plenty of Group 1 performing fillies in her wake. 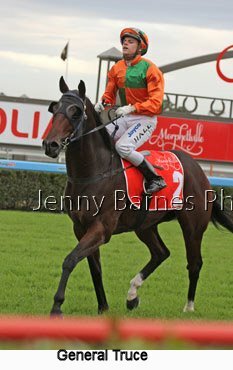 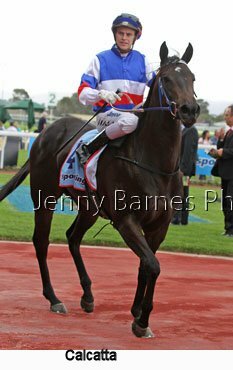 Trained by Phillip Stokes was successful in this race in 2006 with the talented Marju Snip (who sadly died of snakebite not long after) Maybe Discreet showed she could be a contender for the big races in the Melbourne Spring with the authority of her victory. 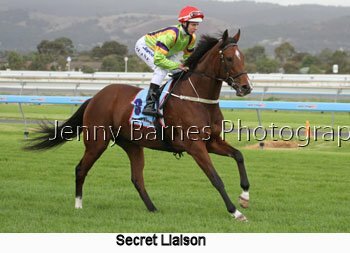 Maybe Discreet takes her record to 11 starts for 4 wins and 3 second placings. 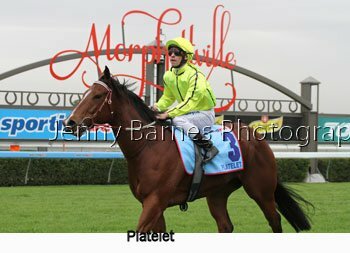 It was also the first Group 1 win for Dominic Tourneur after being so close to taking out the Caulfield Cup last spring on Alcopop before being run down in the shadows of the post by Dunaden. 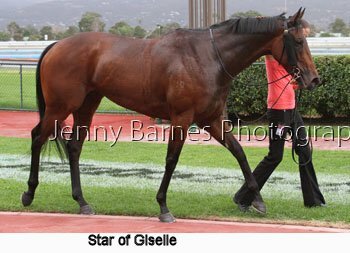 The Group 2 Queen of the South Stakes was next where Star of Giselle led throughout over the 1600m to defeat Danish Spy who made a determined run along the rails with Lake Sententia between them taking third place. 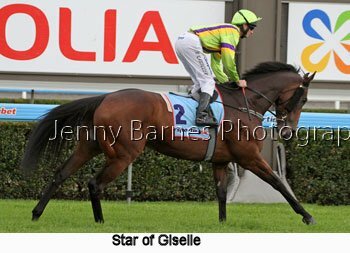 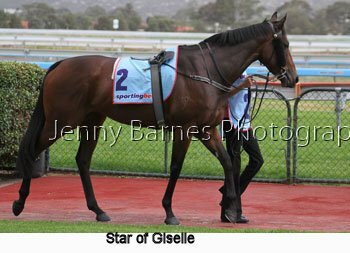 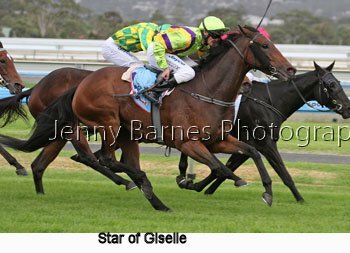 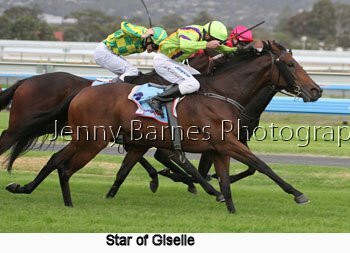 Star of Giselle took her record to 24 starts for 9 wins and 6 placings and it was later reported that she would be retired. 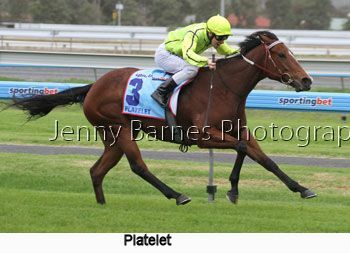 Ridden by Brad Rawiller she continued the Victorian success on the day winning for the M Ellerton & S Zahra stable from Flemington. 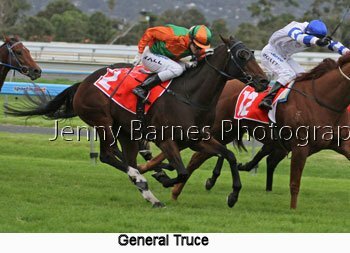 In the final race the Group 3 DC McKay Stakes the tiny General Truce stormed home in the final stages to get up and defeat Karacatis with Honey Flower third. 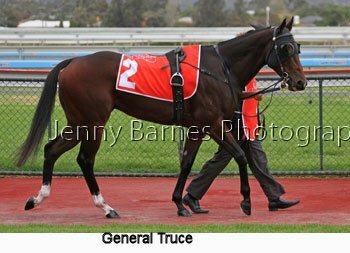 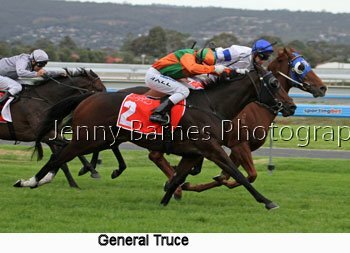 From the Victorian stable of Ricky Maund General Truce took his record to 40 starts for 8 wins and 16 placings and amazingly he was the fourth winner of the day carrying saddlecloth number 2. 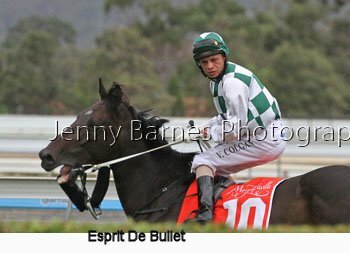 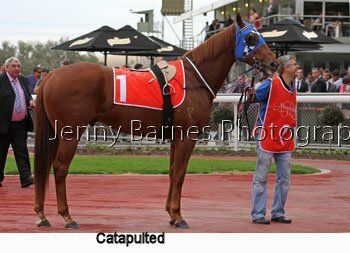 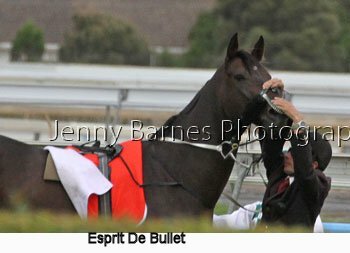 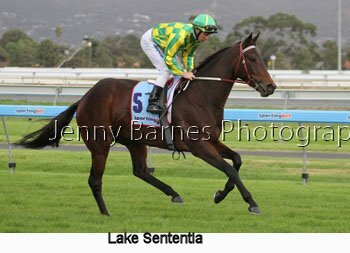 The start was delayed when Catapulted had to have his bit changed and Esprit de Bullet nearly lost his bridle on the way to the barriers.